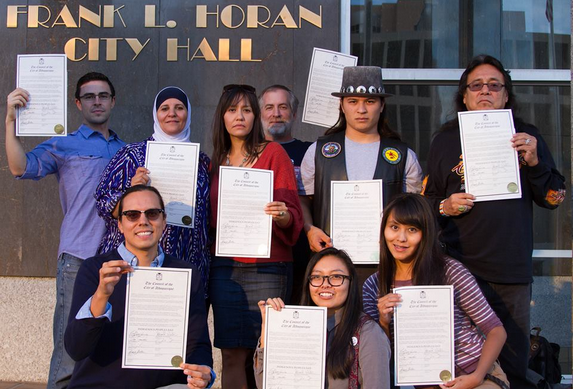 On October 7, the City Council of Lawrence, Kansas supported efforts from students from Haskell University to have the city honor their ancestors by declaring October 12 Indigenous Peoples’ Day. 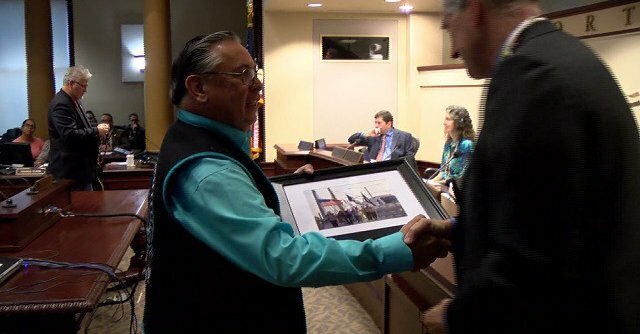 On Tuesday, Portland’s City Council also declared Indigenous Peoples’ Day, something tribal leaders have been seeking since 1954, as did the City Council of Bexas County, Texas, according to US Uncut. Local San Antonio activists are pressing for the same. 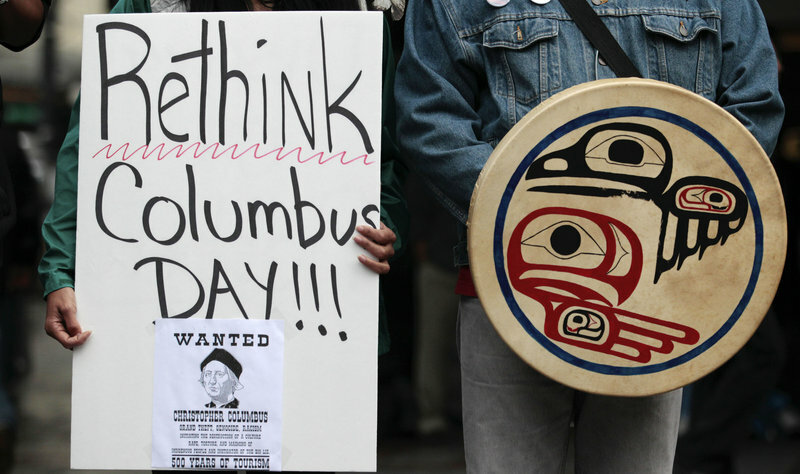 In August, lawmakers in St. Paul, Minnesota declared that October 12 was to be Indigenous Peoples’ Day rather than Columbus Day. The city of Minneapolis passed their resolution a year ago. Minneapolis City Councilwoman Alondra Cano, who represents the diverse 9th Ward, told RT that tribal councils and indigenous peoples have been raising awareness about the myths of Christopher Columbus and his legacy since the civil rights movement. Through that work, they were able to connect to young people who, during a mayoral forum in 2013, asked candidates if they would support Indigenous Peoples’ Day instead of Columbus Day. Current Mayor Betsy Hodges pledged she would. “It is important to recognize there is a strategy on the ground. There is organizing that happened to help advance these policy agendas at the city council level,” said Cano. In September, Anadarko, Oklahoma’s proclamation was signed while surrounded by leaders from the Apache, Choctaw, Delaware, and Wichita tribes, among others. Olympia, Washington also supported a name change resolution in August, joining Bellingham. In March, the Newstead Town Council in Erie County, New York voted to replace Columbus Day with Indigenous Peoples’ Day after being petitioned by their local high school lacrosse team, the Arkon Tigers. 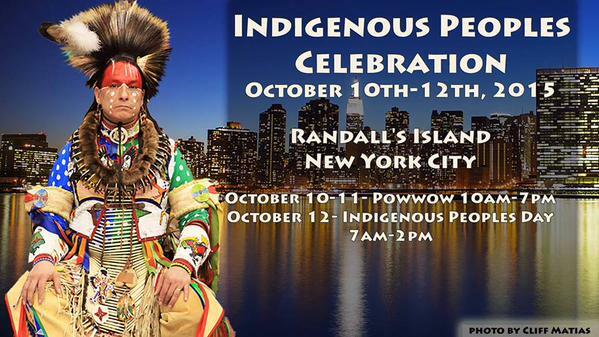 In New York this weekend, the Redhawk Native American Arts Council will bring together over 500 indigenous American artists, educators, singers and dancers from 75 different nations on Randall’s Island in New York for a Native American Festival and pow-wow. 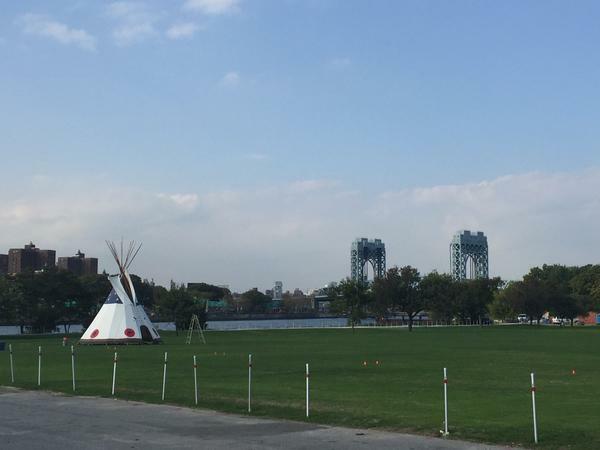 It is the first pow-wow to be held in Manhattan. On Monday, organizer Cliff Matias said they would celebrate Indigenous People’s Day and recognize America’s earliest native tribes. Matias said making it an official holiday in New York will take a lot of negotiating, but he intends to capture people’s hearts first and their minds later. The population of indigenous groups in New York is small, unlike places like Seattle and Minneapolis. In 1990, the state of South Dakota, with its large Dakota Nation, established Native Americans’ Day on the 500th anniversary of Columbus’ so-called founding of America, in order to rename the day for the great Native American leaders who contributed so much to the history of the state. Berkeley, California began their Indigenous Peoples’ Day in 1992. It took the city of Seattle until October 2014 for the council to declare Indigenous Peoples’ Day. The news was heralded by the sound of drums and loud cheers, and an impromptu singing of the American Indian Movement song in City Hall. Educator Matt Remle from the Lakota tribe led the effort there, which required five years of negotiating with tribal councils before a resolution could be written, but he said the biggest catalyst has been the use of the internet in native communities. “With native communities utilizing the internet and social media to tell essentially our own stories, The Last Real Indians [website] was started with the basic idea that native issues, Indian issues, are seldom if ever covered in mainstream media,” he said. Remle said that after Seattle recognized Indigenous Peoples’ Day, other cities reached out to petition for the same celebration.